It makes sense. For one thing, elections aren’t cheap. 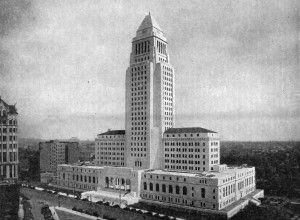 For another, a change would boost turnout, which was a dismal 23 percent in the May 2013 election that put Eric Garcetti in the mayor’s chair. Ironically, elections were split this way to focus more local attention on local matters. That just hasn’t happened. Then there’s voter attention. Most folks are OK with gearing up for an election every two years. But throw in another election year and it’s too much. You might remember the 2000s, when there was a statewide election almost every year because of the 2003 recall that elected Arnold Schwarzernegger, the Special Election in March 2004 Arnold called to pass his wasteful $15 billion bonds, two more elections in 2004 , then Arnold’s 2005 Special Election that repudiated his reform platform, then the 2006 primary and general elections that put Arnold back in power. Looking back, the whole period seemed to be about Arnold’s ego. Anyway, it was a lot of elections: seven in four years. Plus local elections if you were in L.A. or other cities in 2005. To top it off, the state didn’t get better, but worse — as Arnold’s 2005-7 wild spending binge turned into $20 billion deficits in the 2008-11 period. Bottom line: Consolidation of elections looks like it’s an idea whose time has come.